The novelty is that someone finally managed to give a plausible outcome to the hacker`s universe. This could suffice in turning Mr Robot, TV­conspiracy Thriller series of 10 episodes, produced by Universal Cable Production and directed by Egyptian director Sam Esmail, as the best product of the year 2015. The series tell the story of young Elliot Alderson, a security computer engineer at the AllSafe in NY. All nice and smooth, if Elliot wouldn`t be a sociopath who uses hacking as a mean to infiltrate into the private lives of people he knows, reading their secrets. Elliot spends days talking to himself, avoiding others and sniffing morphine. Not really a life model… He doesn’t like being touched, his eyes get out of his orbits, a buffalo hump. Besides, the corporation he works for is one of the most diabolical and global multinationals on the market, the E Corp ( Evil Corp, literally The Evil Corporation). The dark life of Elliot changes when he meets Mr. Robot(Christian Slater) who wants at any cost to involve him in his anarchic­ instructional project, the F society, a group of haggard hackers intending to manipulate the E­corp bike and the whole world to liberate it from the cash tyranny. This relationship with the group will lead him to a mind downfall level and MS­DOS escalation. What really strikes you about this series, other than the plot and the constant good story­line, is the effect of the used language full of metaphors basically all the world understands. The story of the young hacker’s psychology is a bucket of fresh water. The constant paranoia, the persecution complex, drug addiction and total absence of the human relationships give us a first glimpse on how our future “saviors” will look like. Not the Chris Hemsworth on BlackHat (Oh my goodness what a rubbish that film!) was! ), not the public person with a back full of acolytes, not the big hat pacifist that sings songs on a double bed, but a human surrogate without gaze, a sabotage no one has ever seen before and probably will never see again. 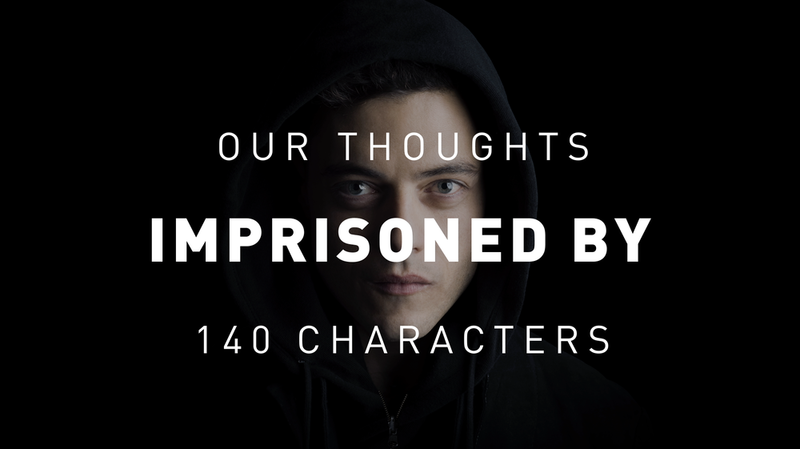 The hackers described by Sam Esmail do not express emotions as normal people do, do not have faith in the future and enclose a nihilistic abyss from their hippie shapes. The attitude Eliot has towards his mission as the World Savior, remembering the history and destiny of great nations, has to choose between sacrifice and justice. Missing one you will never reach the other. The hypersensitivity Eliot has regarding human troubles is a blessing but also a curse. The Hacking philosophy Mr Robot makes you understand that in the end he will be forced to use the machines for their degenerate purpose. Computer language becomes a way of dealing with ourselves and other people, as if a password would be enough to access the deep insides of a human being. The manifest to connectivity everyone flags around is probably the best option in running away from reality and get lost in the labyrinth of caves and synthetic drugs.